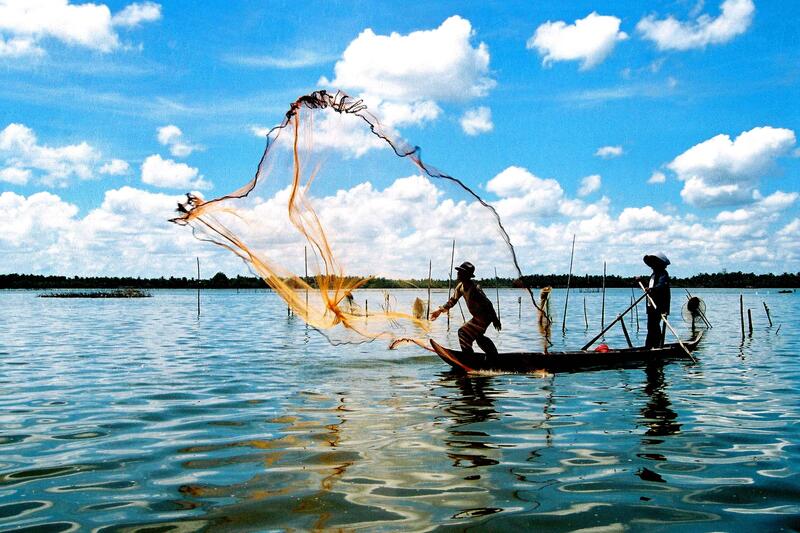 Vietnam weather in Mekong River Delta is characterized by humid tropical climate and sub-equatorial climate. The average temperature is 24°C – 27°C year round. The annual temperature range is normally about 2-30°C. 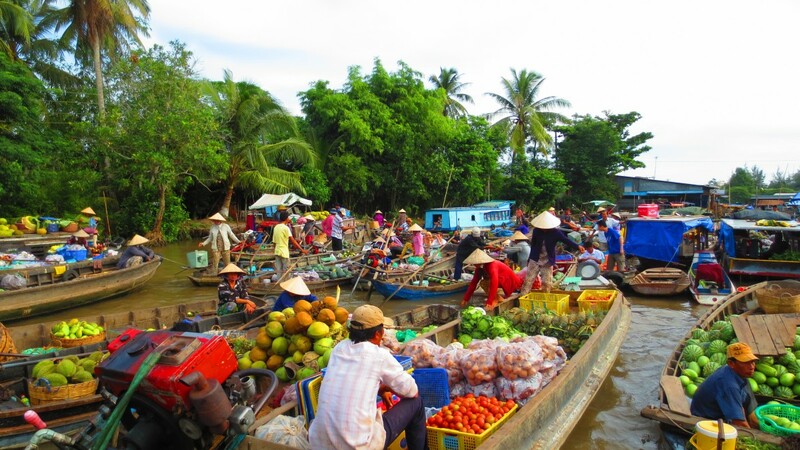 With temperature remaining constantly year round, there are two main simple seasons in Mekong Delta: rainy season from May to November, dry season from November to April. The difference between day and night temperatures is low; there are few storms or weather disruption. Mekong River Delta Vietnam was formed from silt and sediment accretion through the changing sea level, leading to the constition of sand dunes along the coast. The mixture of river and sea has formed the livery alluvial along river, along some sand dunes, and acid-sulphate coastal soil on low-lying sediments such as in Dong Thap Muoi, Long Xuyen, in the southwest of Hau River, and Ca Mau. The area is relatively flat with the average height of 3 – 5 meters, even only 0.5 or 1 meter area above the sea level. April is the hottest month of a year with the average temperature of 29°C, while January is coolest month with the lowest average temperature of 25°C. Annual rainfall in Mekong Delta River fluctuates from 966 -1325 mm. Rainfall is unevenly distributed, decreasing from areas of Ho Chi Minh City to provinces in the west and southwest. The high intensity of heavy rain causes erosion in high hills, at the same time, rain combined with tidal power causing flooding, which affects production and livelihood of the population. The humidity averages 80-82%. Lighting time per day ranges from 6.8 to 7.5 hours per day and 2500-2800 hours per year. Dry season seems to be the best time of the Mekong Delta area. During this time, the region is perfect with lush sky, various vegetable and calm rivers. It will probably hot and humid during June to September, but this condition of weather will provide diversity of tropical fruits and flowers. 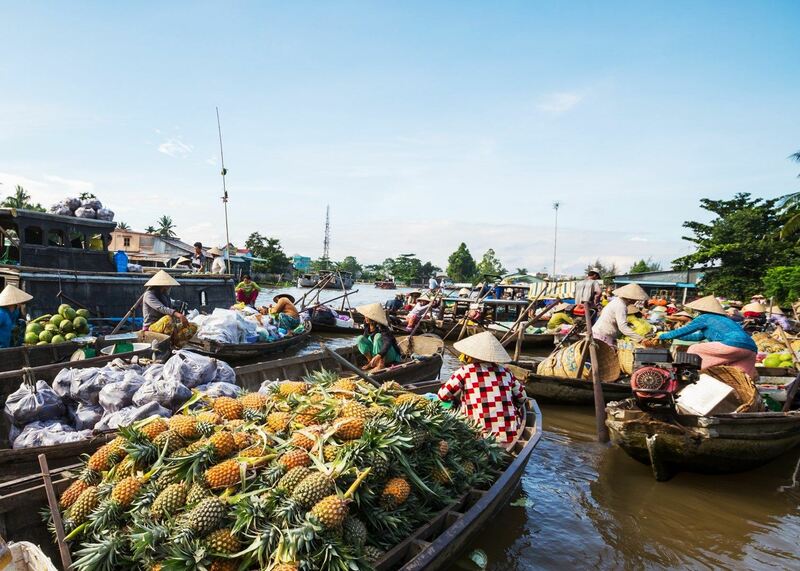 The chaotic life in Mekong Delta is laced by water and season. It is most vibrant in late dry season with various kinds of flowers and fruits. That will be the best time to visit the region in particular and other places nearby such as Ho Chi Minh City and Vietnam in general. 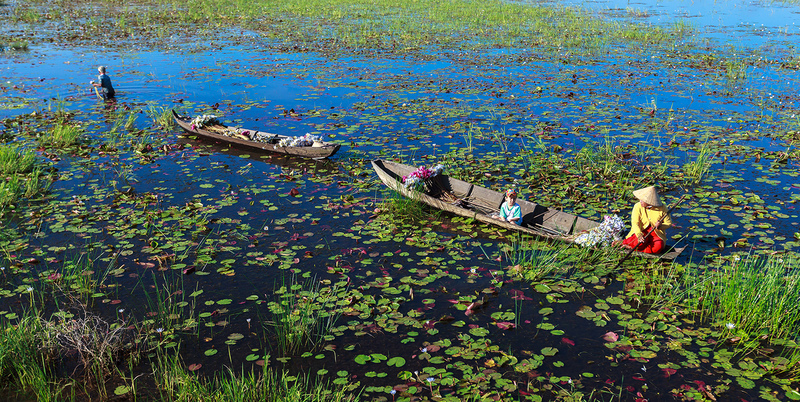 Mekong river delta in Vietnam is unique region with typical tropical weather. Knowing about weather through Weather Of Mekong River Delta In Vietnam will help you have good preparation for your trip.